In Nestor Falls, Lake of the Woods transforms as the temperature drops. It’s -17°C/1°F here, which is a beautiful day! 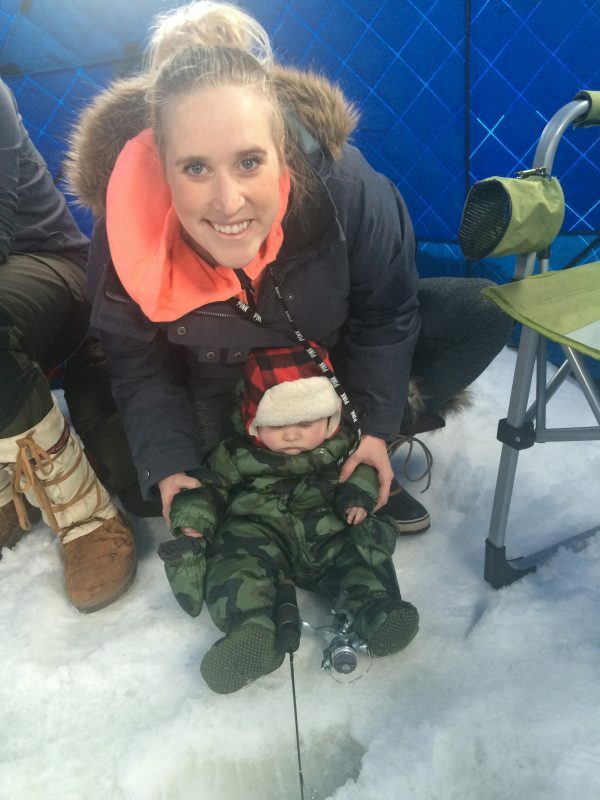 It’s been more than cold enough to support a few fish houses on the lake–and plenty of ice fishers, too. 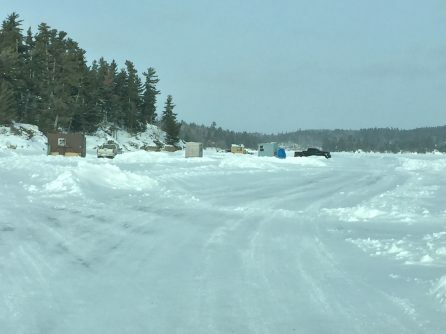 With a 2-foot thick layer of ice, roads can be plowed 3 to 4 miles out on the frozen lake. It looks like a little village with all of the fish houses lining the roads! 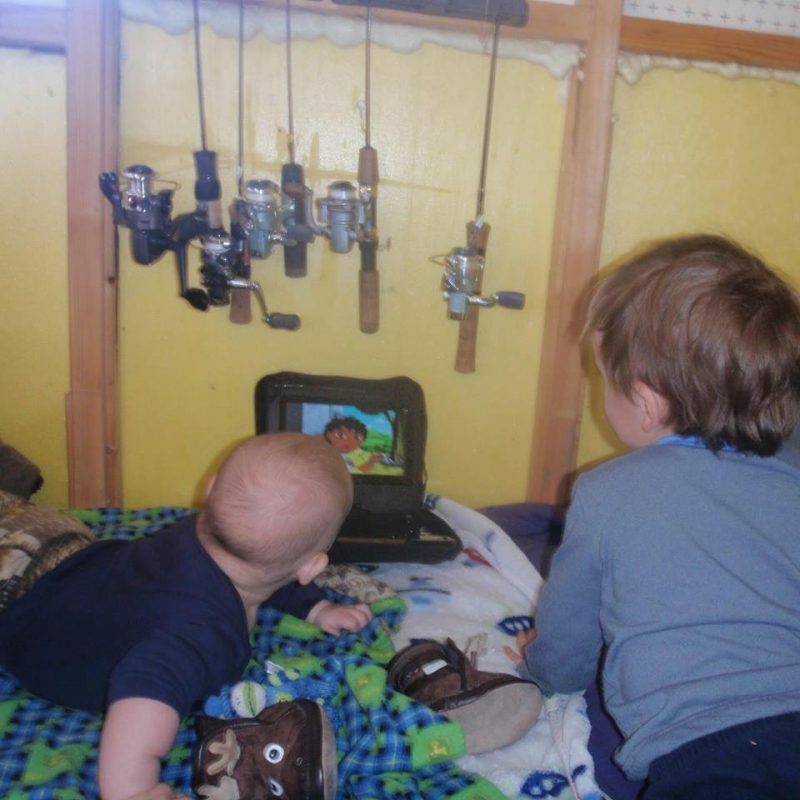 Most of the houses are kept warm and toasty with propane heaters, and some have set up entertainment for kids. 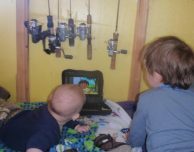 In one photo below, you’ll see that no age is to young to start our little people fishing as Ashley is teaching Brax how to fish. On Lake of the Woods, people fish for Crappies, and the Crappies are active and have been biting. If you’re interested in ice fishing, some of the fish houses are available for rent. 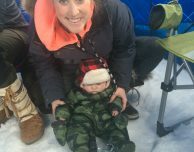 It’s not as severe a winter as Nestor Falls had last year, but you’ll still need to dress warmly to spend time on the lake. Brr!